We all need a little weekend getaway to keep things fun and to relax a little. October in Augusta, Ga brings cooler weather and bright fall colors along the Augusta Riverwalk and the Canal. Start planning your weekend whirl for October 18 – 20, 2013. Click here to see which hotels are available for the weekend. What to do: It’s all about enjoying the cool weather and exploring outside this month! Take a Moonlight Music Cruise. Enjoy an early fall cruise down the Augusta Canal with live music on the Petersburg Boat by Brandon Cocker. Food and drink is allowed on-board, so grab a bottle of wine or your favorite drink and a few snacks for the trip. Click here to reserve your seats online. Weave your way through The Maize at Steed’s Dairy. Pick a pumpkin from the patch, wind your way through the corn maze, take a hay ride and enjoy candy apples and hot cider – it doesn’t get much more fall than this! $10 gets you into everything except the corn cannon (those are $1 per shot). 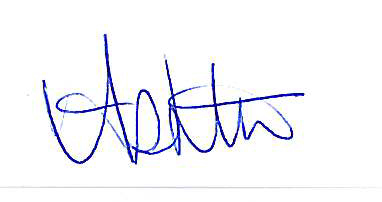 Visit SteedsDairy.com for more information. Experience what life was like during Colonial Times. North Augusta’s Living History Park brings the colonial period from 1735 – 1785 to life with demonstrations and living exhibits. Try your hand at colonial dances or see if you’re fit to join the militia. Since Colonial Times is free – you’ll have some extra cash to do a little shopping later! For more info, visit ColonialTimes.us. Where to shop: Augusta has lots of unique shops where you can find one of a kind gifts, clothes and more! Get your vintage fix. 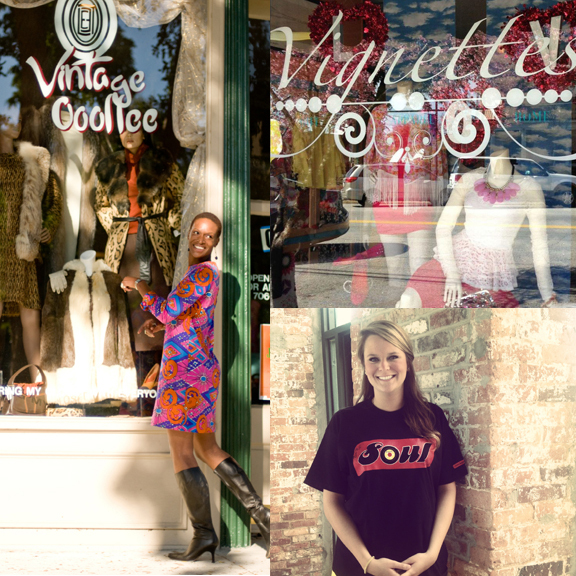 Vintage Ooollee is located in the heart of Downtown Augusta on Broad Street. You’ll find vintage clothing, shoes and accessories for men and women. Get “the look” for less. Vignettes is a women and teen clothing boutique. The best part? Everything in the store is under $80! So grab everything you need to recreate your favorite fall look without breaking the bank. Get an Augusta t-shirt to take home. Who doesn’t love t-shirts? You’ll have plenty to choose from along with men&apos;s polos, hats, sunglasses and lots more Augusta themed gifts at the Augusta Visitor Center located inside the Augusta Museum of History. When you stop in to get your ticket for the Trolley Tour, make sure you take a look and take something home! What to eat: The local food scene in Augusta makes it hard to choose – but here are a few suggestions. You can always come back another weekend and try more! Tacos & Beer. Sound good? Then try Nacho Mama’s – a quick-serve funky little local favorite serving up creative burritos, nachos, tacos and quesadillas along with cold beer. And don’t forget the cheese dip or fresh guacamole. Burgers & Shakes. This classic combo just got a whole lot better than your average fast food joint can serve up. 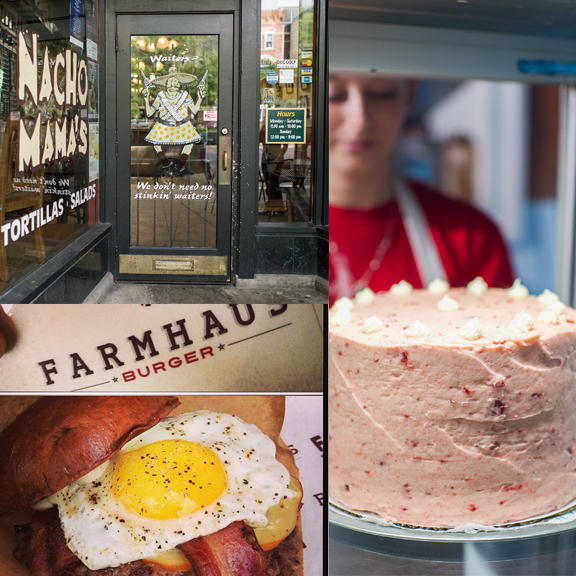 Farmhaus Burgers uses fresh, farm-to-table ingredients to make burgers loaded with flavor and lots of personality. Add to that a fresh, thick & creamy shake made with local ingredients and you’ve got a match made in burger paradise. Cake & Coffee. Imagine a cake that’s a foot tall with lots of moist layers and sweet icing paired with the perfect cup of locally roasted coffee. Now open your eyes – you’re at the Boll Weevil! Cakes are baked fresh daily and the coffee is locally roasted in Augusta and is so smooth you won’t need sugar or creamer. You’ll leave on a cloud of sugar and caffeine – and that’s a promise! Want more info? Visit www.AugustaGa.org for a full calendar of events and list of restaurants and attractions.